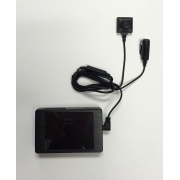 Versatile heavy duty mini Digital Video Recorder with HD video. ACT offers a number of board cameras from flat pinhole cameras to conical tipped cameras. Low light Black and White Camera C-Mount Cameras. These are high resolution cameras that provide the best possible evidence. ACT offers a wide variety of C-Mount Lenses. We can sell them individually or in a kit.